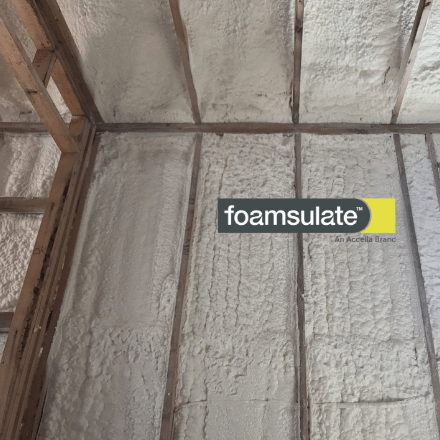 Foamsulate 50 N-IB meets the requirements of ICC-ES AC377 and Appendix X for use in attics and crawlspaces without the use of a prescriptive ignition barrier. Foamsulate 50 N-IB meets the requirements of ICC-ES AC377 and Appendix X for use in attics and crawlspaces without the use of a prescriptive ignition barrier. Foamsulate 50 N-IB is a low viscosity, 0.5 pcf density open cell insulating material. All Premium Foamsulate 50 N-IB documentation, manuals and resources available HERE.